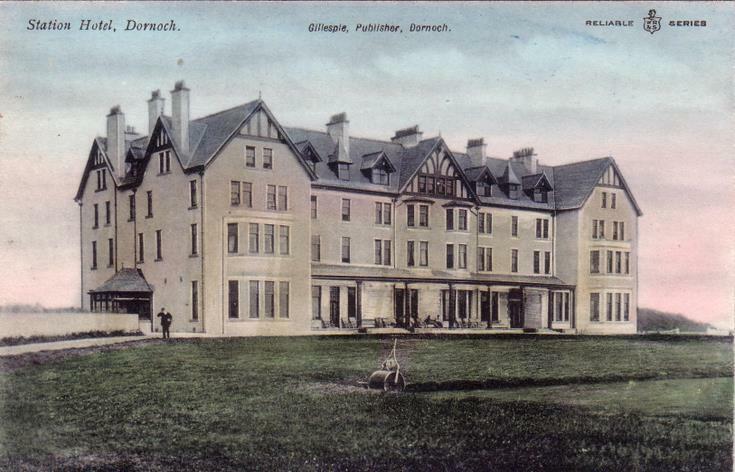 Tinted photograph of the Station Hotel Dornoch from the Basil Hellier postcard collection. There is a roller on a flattened area, shown to be an croquet lawn in 2007.091.003, in front of the hotel. There is the figure of a man on the left of the hotel and people sitting on the verandah. The Station Hotel opened in June 1904.